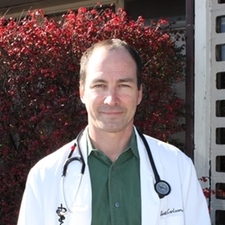 Dr. Carlson is a native of Wichita, KS and a 1997 graduate of the Kansas State University College of Veterinary Medicine, after earning a B.S. in Biology and Animal Sciences from the same University. One of four boys from a close-knit family, Dr. Carlson served honorably in the US Army as a M1-A1 gunner and tank commander from 1986-1990, acheiving the rank of Sergeant. After graduating from KSUCVM, Dr. Carlson moved to Baltimore to practice, working in many hospital settings and gaining valuable and varied experience. He and his wife, Courtney, reclocated to Kansas City in 2009, and purchased Hickman Mills Animal Hospital. They have two amazing boys named Tanner and Ashton, whom occupy most of their time and nearly all of their energy. The Carlson family also includes a handsome and debonair tuxedo cat, named Tryggie. While at K-State, Dr. Carlson was a member of the K-State Skydiving Club and made many jumps during that time. Melody started her career working with animals in 1989, and has worked at HMAH since 1995. After receiving a B.S. with honors from Purdue University and an M.A. 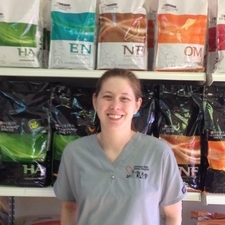 in Audiology, Melody realized her true passion was caring for animals. Born in Johnson City, NY before migrating to Richmond, IN, Melody grew up in a large family which includes 5 sisters and 2 brothers. Melody now has a son of her own, as well as 4 dogs--Wilma, Rose, Penni, and Mickey, plus an old kitty named Peeks. Her other interests include spending time with family and friends, bowling, watching movies, forensic science, and caring for her classic mustang. In 1981, as part of the Richmond High School Marching band, Melody marched and played trumpet in the Macy's Thanksgiving Day Parade in New York City. Alex has always had a passion for animals. Ultimately, she plans on attending school for Veterinary Medicine, but in the meantime is working towards attaining Veterinary Technician Certification. 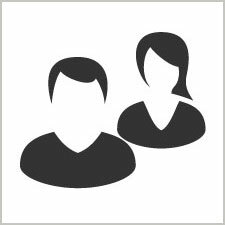 She joined the HMAH family in March 2015 to gain needed experience to help achieve that goal. She is a native of Kansas City, but also spent some time in Sedalia, MO. She has a family of 2 sisters, 3 brothers, and 2 dogs named Sienna and Zahara. She is a member of the Raytown Dog Training Club, where she spends most of her free time training her two dogs. Her other interests include spending time with family, movies, cars, reading, science, and writing. 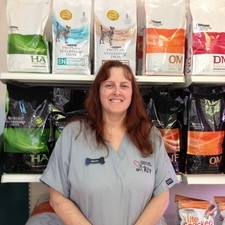 Alex is an accomplished dog trainer, and once taught a training class at the Raytown Dog Training Club. Rhiannon joined our team in April 2015 after moving from Topeka to Lee's Summit. She is a proud graduate of Kansas State University with a B.S. in Animal Science. 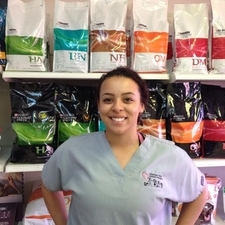 After graduating she worked at a Topeka Veterinary Hospital for 9 years. She has 4 big dogs, 2 cats, 2 geckos, and a ball python. She is planning a wedding for April 2016 with her fiance Tim. In her free time she enjoys photographing animals and nature and going to local art fairs. Rhiannon has volunteered at both the Sunset Zoo in Manhattan during college, and at the Topeka Zoo.